EPUFFER® is proud to offer its customers not only e-cigs but also e-pipes of the highest quality. 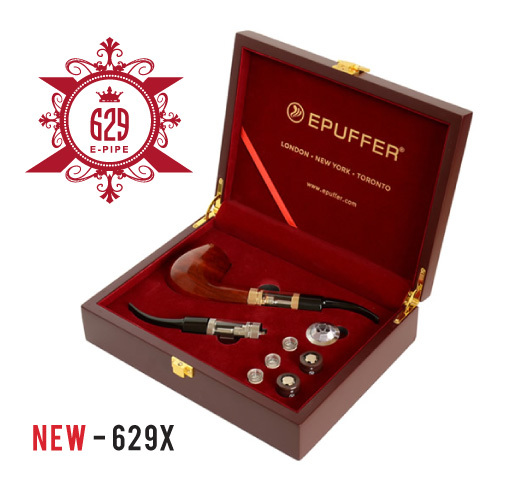 ePuffer has revised its E-Pipe 629 for the fourth time and is now releasing its limited edition E-Pipe 629X. 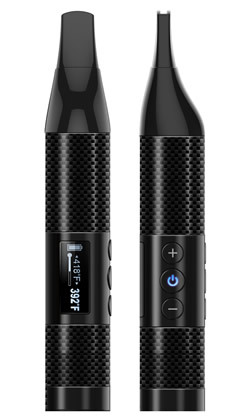 The E-Pipe 629X has a micro sub-ohm 1.0Ω tank that offers minimal resistance and even more vapor. The starter kit also includes two liquamizers each with a different colored trim. With both a gold and silver liquamizer and bowl caps, rather than one or the other, vapers can coordinate their e-pipes with their outfit and accessories or color-coordinate their liquamizers according to the various e-liquids they use. 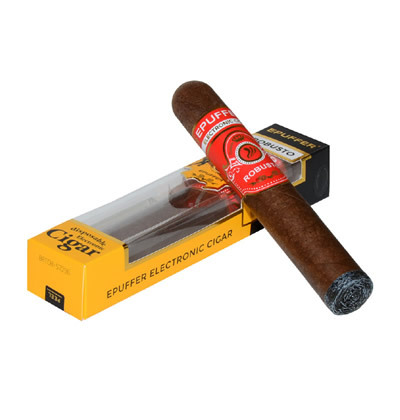 ePuffer’s E-Pipe 629 has a whole list of positive reviews. Pipe enthusiast John Mahathy remarks: “I want to tell you, there is a WORLD of difference! 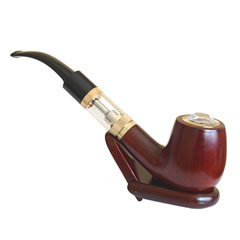 I've been smoking pipes off and on for 60-odd years, and pipes exclusively for the last 30; obviously, real pipe smokers designed the 629: it actually smokes like a pipe! Now I can leave my lifetime collection of pipes without regret. This is just a great pipesmoker's e-pipe! Thanks, ePuffer!” These devices, are modern alternatives to traditional classics but certainly do not skimp on the quality of the experience. ePuffer prides itself on the value of its vaporizers that are made in house and are never general products pulled from assembly lines in China. 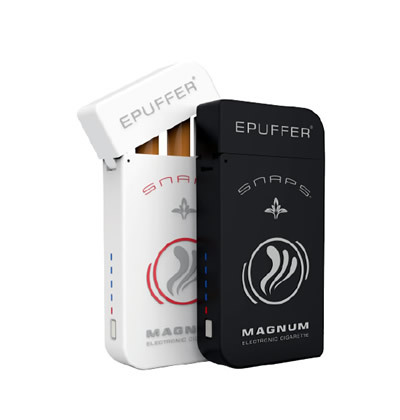 EPUFFER® created a tank with even less resistance for a more intense hit with every puff. These are not box mods by any means though. So they won’t produce an inordinate amount of vapor for those who prefer to remain discreet and aren’t interested in cloud-chasing with their colleagues. We also wanted to ensure our fashion-minded customers that we offer elegance that exceeds that of our competition. Not only do we build our pipes out of the wood, we also want our clientele to have the chance to coordinate the color of the pipe’s trim with their other accessories. With two liquamizers in each starter kit, vapers will no longer have to choose between silver and gold but can rather alternate depending on their wardrobe for the evening. In this fourth revision, EPUFFER® has striven to go above and beyond to create an e-pipe with unmatched performance. This luxurious product is truly meant for the modern gentleman regardless of how deep his pockets are. You can order yours now as they are bound to go quickly! About EPUFFER®: ePuffer Inc. is an international company based in the United States, Canada, and United Kingdom that was established in 2007. Over the past ten years, it has become a global leader in the electronic vaporizing industry and caters to over one million customers in over 26 countries. It was featured as one of The Top 10 Health Trends on “The Doctors” in 2009 and Possible Best Quit Smoking Product in 2010. They have become an essential part of people’s smoke-free lives.